68 years ago the Land Rover was envisioned with a simple sketch in the sand. The one-kilometer-long temporary artwork was created using six Land Rovers, each towing a 12-foot harrow as they made one continuous 4.52-km line, which was soon erased by the incoming tide. The three limited edition Defenders honor a different element of its versatile character. The Autobiography Edition offers more performance, luxury and comfort, boasting a two-tone paint job, LED lights, a power boost to 148 hp and 295 lb-ft of torque, Santorini Black detailing, and full Windsor leather interior. Based on a 90 Station Wagon, just 80 units will be made priced from £61,845. Inspired by early models, the Heritage Edition comes in Grasmere Green with a contrasting white roof, a heritage grille, and HUE 166 graphics – a nod to the license plate of ‘Huey,’ the first ever pre-production Series 1 Land Rover. Limited to 400 units, it will come priced from £27,800. 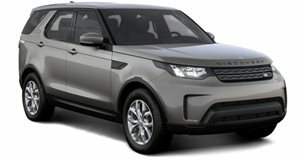 Celebrating its legendary offroading capabilities, the Adventure Edition comes with additional underbody protection, Goodyear MT/R tires, leather-trimmed cabin, the same power boost as the Autobiography, and an “expedition roof rack, snorkel, [and] rear access ladder.” Available in Corris Grey, Yulong White or Phoenix Orange, it will be made in a 600-vehicle run in either 90 or 110 Station Wagon form, and will cost from £43,995.